In the past few years, you may have noticed two parallel and seemingly opposite trends happening with data centers. Many businesses have consolidated multiple sites into one or a few centralized, larger facilities. In addition, third-party data center management companies have taken over formerly in-house computing functions. This consolidation has resulted in very large data centers. At the same time, the growth of the IoT and the result of the big data expansion have increased the need for micro data center environments. 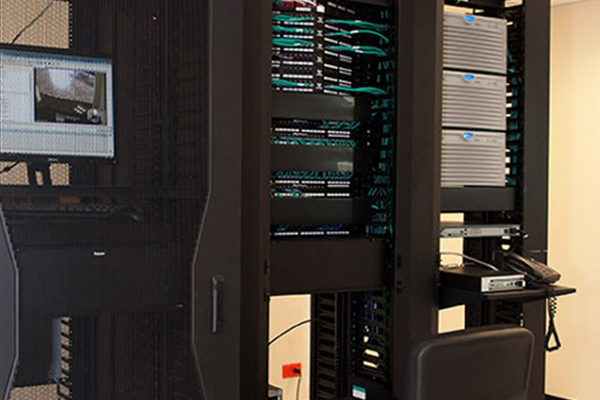 Micro data centers usually consist of a maximum of one rack that is contained in a relatively small space. While these self-contained and small data centers may have been designed to allow management from a larger data center, they contain everything that’s needed for required IT functionality. Edge devices describe any remote access points into the internet or a network. Some examples might include routers, sensors, smart devices, and other internet-enabled equipment. What edge computing addresses is the need for remote devices by placing storage, data collection, and data processing closer in proximity to these devices. By deploying micro data centers organizations enjoy faster processing speeds, reduced network traffic and in many cases, lower operating costs. Ensuring 100-percent uptime: As businesses rely upon a greater number of connected devices, they find that that downtime becomes an unaffordable burden. Keeping systems upgraded and maintained: Companies have more of a challenge when they need to apply patches, upgrade equipment, or make other technological improvements. Lack of standardized hardware: Organizations that have to manage multiple micro data center environments will have trouble working efficiently without having standardized hardware. How Can Organizations Overcome the Challenges of Running Micro Data Centers? Organizations have found that the same key IaaP, or infrastructure as a service, best practices that serve larger data centers well also resolve challenges with micro data center environments. Risk management: A layered approach allows data center managers to detect and defend against threats either remotely or locally. Power optimization: Remote power monitoring and management reduce power outage risks. Network migration: Versatile connectivity ensures high performance for local storage, communication, and processing. Thermal efficiency: Proper temperature control and airflow management can all be addressed remotely to keep systems in shape and minimize energy waste. DCIM enablement: All data center infrastructure management needs to offer remote control and visibility. It’s true that large enterprises are starting to rely upon the cloud for processing and storage. However, as many IT functions have become more centralized, these same companies find that they can enjoy better performance with some decentralized micro data centers located near the activities they are meant to support or control. Standardization, remote control and monitoring, and the right design make it possible to keep these data centers running well, safe, and reliable. Your organization needs resilient and reliable computing systems, and you probably can’t use the same solution for all of your processing, storage, and networking requirements. Learn more about micro data centres and managing infrastructure at the edge here.